It’s the first step in a process to reform how the Thunder Bay Police Service (TBPS) regards, interacts with and treats the city’s large Indigenous population and those from northern communities who attend school or seek medical care in the city. “As hard as it is to say, we have to acknowledge that there is systemic racism in the board and in the police service,” Tom Lockwood, the board’s administrator, said Sunday. Lockwood was appointed as the sole administrator of the board following two reports released last month by independent police watchdogs in Ontario. The second, led by Senator Murray Sinclair for the Ontario Civilian Police Commission, recommended that the board be dissolved and taken over by a single administrator while a board members receive training before taking over civilian duties for the police force again. Both police watchdogs found systemic racism in the force. 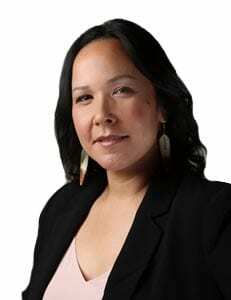 Celina Reitberger, who was appointed the first Indigenous chair of the board days before Sinclair’s report was released, Thunder Bay Mayor Bill Mauro, and city councillor Kristen Oliver are the three remaining board members. Two seats will have to be filled by the city and province. Mauro did not attend Sunday’s apology. Neither did Nishnawbe Aski Nation Grand Chief Alvin Fiddler. Reitberger, who was appointed to the board over a year ago, offered a personal apology to the hundreds of community members in attendance. Reitberger said Sinclair’s recommendations offer a path forward for the Thunder Bay police. Board members will be required to complete Indigenous cultural awareness training and governance training if they want their voting powers returned. That training is scheduled for February and March. Following the apology community members joined in a sharing circle, which was closed to the media. But the messages from community members were generally positive. Ardelle Sagutcheway of Thunder Bay said the police watchdog reports’ findings gave her hope. Molly Boyce, who says she was a victim of police brutality during the years she lived on the city’s streets, said the apology was a long time coming. “I felt like they were apologizing to me because I was in the brunt of their brutality and their aggressiveness and their attitude and the way they spoke to me, just by the tone of their voice,” she said. The city is expected to appoint a new member to the board this month. I lived there for 11 years. I know the poilce force were racist then! I was carded more times then I have fingers and toes. Taken for a ride and given the goon treatment. You complain once and they don’t do a thing but laugh at you! But?! The police are only one of the problems. A lot of white raced people. Would scream racial slurs at you. Call you Chug! Savage! And even throw beer bottles at you from moving vehicles. Some case three of four jump out and chase you. To try and swarm you! The tunnel at charrys corner was a bait trap. And I had to run the tunnel because I lived on McDonald’s. I’m not the only one this happened too. The cowards would never come at you one on one. I was forced to arm myself. That was the most racist city I have ever lived in!! And I’m from Alberta. I know what racism is since I was old enough to walk. No one should have to feel hate as a child to adult. If a native reacted to any of the situation. And the police were involved. The police did absolutely nothing. Or would say you should of been their?! Last time i looked Canada is a free roaming country. But inT.B was a law in its own. White Anglo Saxon! You think fixing the police force we’ll make it all better?! Or a we’re sorry. Sadly you are mistaken! That whole force need to be replaced with all different cultures officers. Not sensitivity training or learning about culture issues. All this does now is put them deeper under ground in the force. They will just hide it better. And the issue of the white privileged thinking race. They need to have stiffer prison sentences. And praded from Fort willams to port arther In public shaming. So they will been known as a racist. And forced to spend time with elders while in prison or probation right up until they are done. To see we are not what they been brain washed to think. 99% racism start from daddy and mommy and so on. know it won’t change much. But it’s a start. You don’t want to be known as racist you won’t act the racist. Why would the mayor not attend?,,,that’s a white leader for you.Shut it down,don’t show up,,,must be nice.,,,Stepping up to responsiblies when only white people are concerned.Phoney crap.